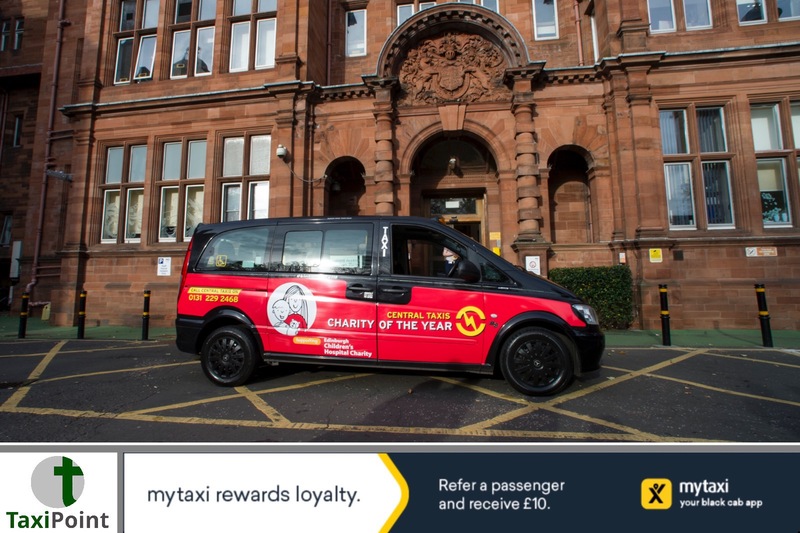 Edinburgh’s largest black cab company has partnered up with a much-loved children’s charity to support bereaved families during the most challenging moments following the loss of a child.Edinburgh Children’s Hospital Charity (ECHC) has received a £500 donation from Central Taxis to use as a travel fund for parents who face the heart-breaking journey home from hospital with their child’s belongings.Parents often had to use public transport to make the journey home, with their children’s precious belongings tucked away into plastic hospital bags.ECHC works closely with Children and Young People's Palliative Care team at the Royal Hospital for Sick Children (RHSC) in Edinburgh to provide care and support to the children at the hospital and their families.Lesley Thomson, Clinical Co-ordinator at RHSC, said: “We are constantly striving to ensure we provide strong and stable support for bereaved families. Although we cannot ease their pain at this unimaginable time, we want to do anything we can to help alleviate their stress.“This service has been developed to provide a comfortable environment for bereaved parents and to ensure that they get home safely.”Katrina Marshall, Clinical Nurse Specialist at RHSC, said: “The whole team is incredibly grateful to Central Taxis for their donation and co-operation. Their generosity and support truly are amazing.”RHSC, ECHC and Central Taxis have worked together to put a lasting scheme in place, with a special code given to RHSC’s staff to organise transport for bereaved parents.The code immediately alerts the dispatcher to the passenger’s circumstances and helps to ensure that they are given privacy during those critical moments.Tony Kenmuir, Chairman at Central Taxis, said: “ECHC is our chosen charity of the year and staff and drivers have been raising money and offering services wherever we can. The last thing anyone should have to worry about is how to get to and from hospital.“When we learned about the Children and Young People’s Palliative Care unit and the work that the amazing team of people do there, we had no hesitation in offering transport to anyone in financial hardship.”ECHC has also helped to fund canvas bags with a heart printed on them for the parents to put their children’s precious belongings in.This comes after Palliative Care’s recent revamp of their memory boxes. Filled with the child’s favourite items and their hand or foot prints as well paintings and written reflections, the boxes are given to bereaved parents and siblings.Amy Ford, Corporate Fundraiser at ECHC, said: “The work that the Palliative Care staff at RHSC does is incredibly thoughtful.“Loss of a loved one is a truly tragic experience, even more so if it’s a child. The team’s efforts to make sure that the families are supported as best as possible during this difficult time are really outstanding.“We cannot thank Central Taxis enough for their generous donation and their willingness to work with us to bring comfort to those parents. We hope that this partnership will only grow from strength to strength.”ECHC provides vital support to the RHSC and to a number of other locations across east central Scotland where children and young people are treated, including St John’s Hospital in Livingston.The funds raised by ECHC help to fund equipment and activities that improve young people’s hospital experiences, so that they can be a child first and a patient second.